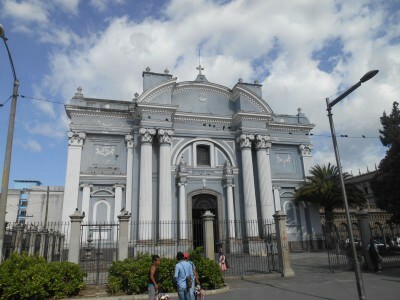 Guatemala City is a breathtaking beast of a city. An absolute beast pumped to the max. 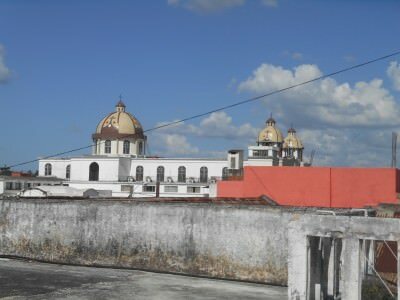 Those who fly into Guatemala City and make a beeline straight for Antigua – shame on you. 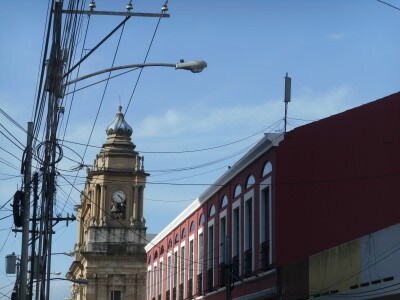 You’ve missed the pumping heart of the country, the cultural capital of Central America (for 2015) and a city which is as diverse as it is dangerous (allegedly). Plus you avoid the hoardes of tourists who flock to Antigua, for no apparent reason. 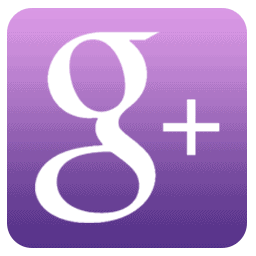 GC – the country’s pumping heart. Follow your wandering heart and stay in GC. This is the trendy, arty side of Guatemala with no frills attached. 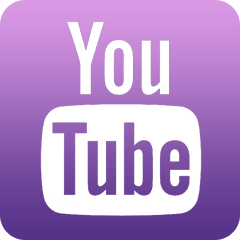 What you see is what you get here – nothing geared for tourism or commercialism, which sadly doesn’t apply to places like Panajachel, Antigua and Flores. That hat trick seem to rely on tourism – you know the old saying “trade your passion for glory” and then lose sight of your passion. GC has the passion and won’t let go. 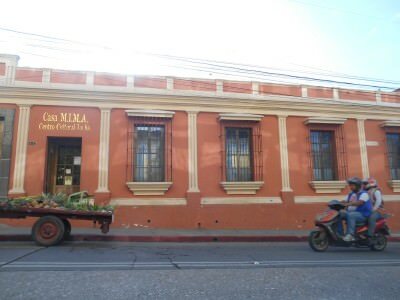 Head to zone 1 to stay as it’s just more central to the old historic quarter and choose the cosy Posada Belen Museo Inn, where I based myself for 3 nights. The city is massive and you want to be somewhere in the centre, so you can walk some of this on foot. Francesca at the Posada Belen Museo Inn is the most welcoming host and I loved my time there. 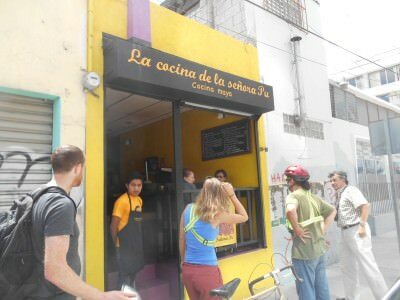 You can do the Guatemala City cycling tour with Marcos and see a lot more of the city, including some truly off the wall scoops that are hard to get to. Marcos does tours to the dump, the cemetery and the finest coffee in town, if not the world. For now, here’s my personal GC top 15. 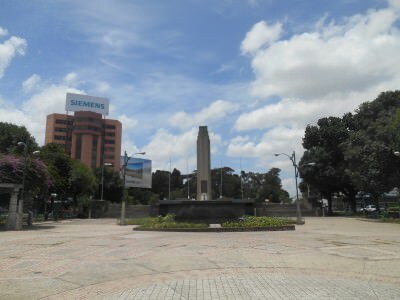 Parque Central – this is GC’s centerpiece. It’s like any capital city’s main square except here there are no tourists. 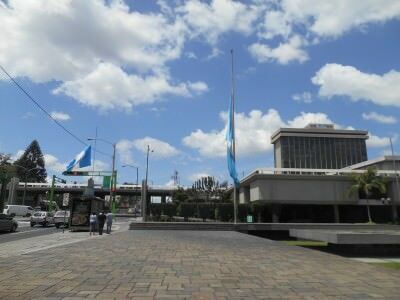 Walk round at your leisure and pose by the Guatemala City flag admiring the buildings all around. 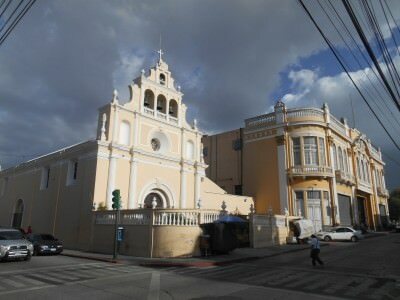 Colonial, religious and political Parque Central is a good place to start when walking your way around the capital. 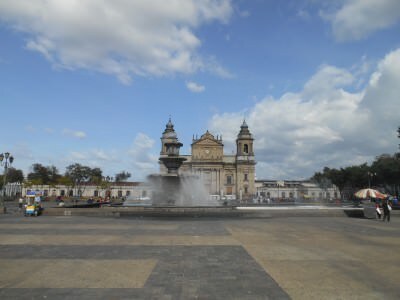 Palacio Nacional de la Cultura – the National Palace is right here. You can get inside at selected times during the day between Monday and Saturday. 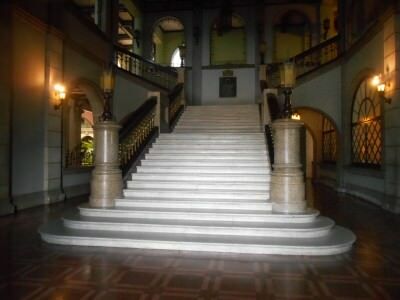 It’s an elaborate building which was built during General Jorge Ubico’s dictatorship. 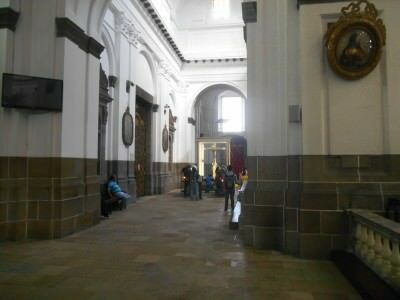 Inside the National Palace in GC. 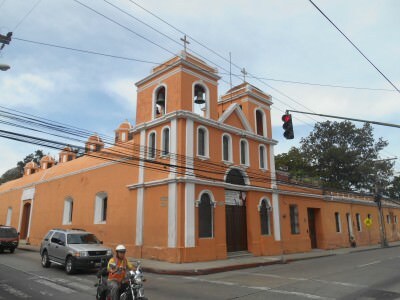 Centro Civico – the centro civic is the name given to the area featuring a roundabout and a load of really important buildings in GC’s past and recent history. 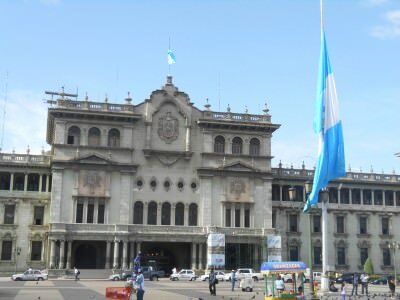 Take your time to look around – the Palace of Justice is here, so is the bank of Guatemala’s headquarters and the City Hall. Torre de Reformador – at first glance you could be forgiven for thinking you’re in France. This resembles the Tour Eiffel, but it was built in 1935 and therefore is an obvious “copy” of its more famous French Tower. 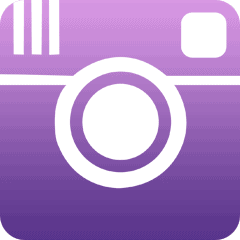 You can’t climb it…just stop by and admire it! 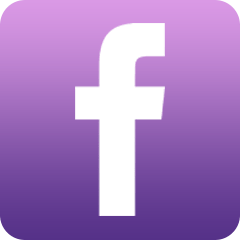 Museo de Ferrocarril – I love trains, and travelling on them. 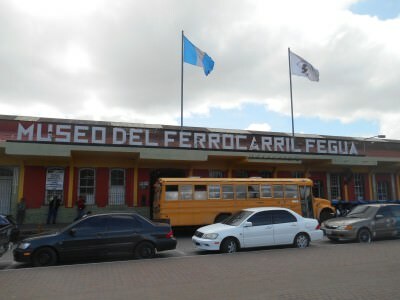 Museo de Ferrocarril, Guatemala City. 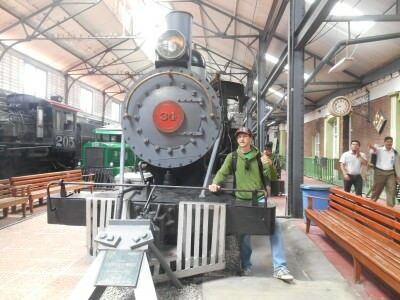 Here in Guatemala City the trains no longer run- trains are a thing of the past sadly in most of Latin America, but some places such as Paraguay’s Asuncion (my visit to the train museum there) have kept good reminders of what once existed here. By an old train in GC. Quite simply the Guatemala City train station museum is excellent. Casa MIMA – Casa MIMA was close to my hotel and is a fascinating small museum with a real arty mix to it. 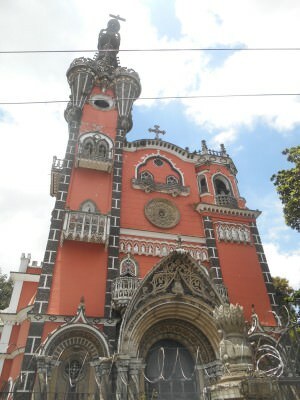 You’ll get to discover art and Guatemala City go hand in hand. This city is the most artistic and cultural for miles and miles around it. 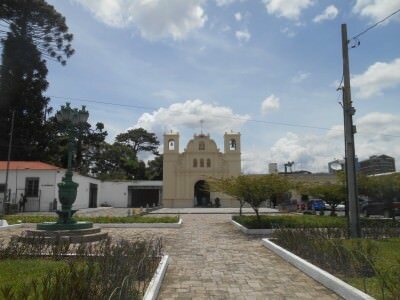 Catedral Metropolitano – the main Cathedral has already been kind of listed here as it’s in Parque Central, but go inside and admire it. There’s a Black Christ within and stunning designs. Sadly in August 2014 a car crashed into a brick at the front, destroying some memorials on the outer wall. 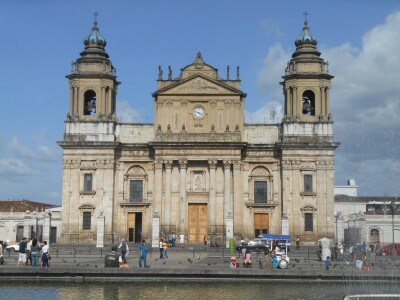 Fabulous main cathedral in Guatemala City. 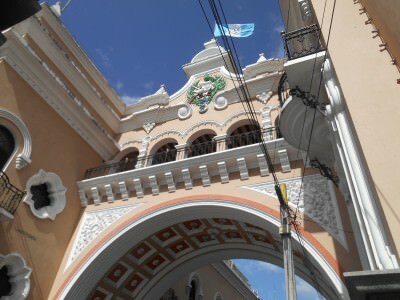 Centro Cultural Metropolitano – this building arches over the colourful colonial streets of the old town, also near my hotel. 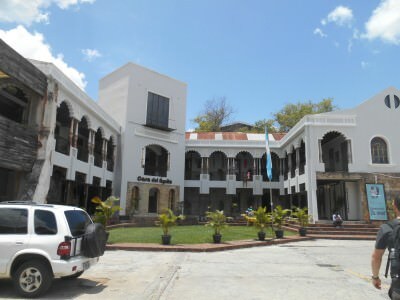 The Centro Cultural Metropolitano in GC. 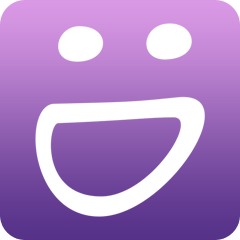 Señora Pu – Senora Pu is a bit of a local legend. 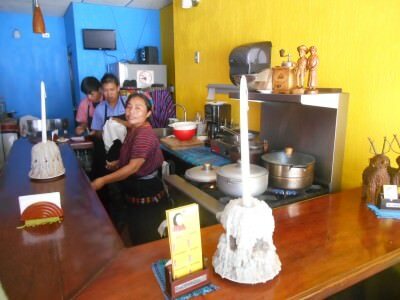 Her “kitchen” which is a tiny, cosy restaurant offers some of the best dishes in Central America. Most come away raving about it!! Some of the menu items she has invented herself. Senora Pu’s kitchen and restaurant. 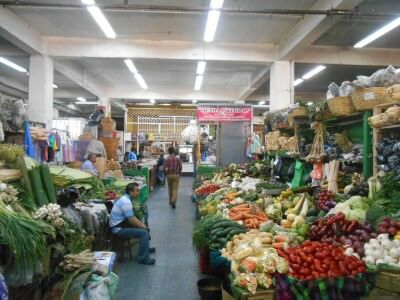 Mercado Central – as with most main markets in Central America, this places oozes personality, diversity and flair. 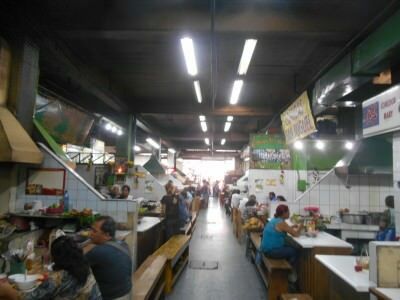 From food stalls to cafes to souvenir shops, you can find what you want here. 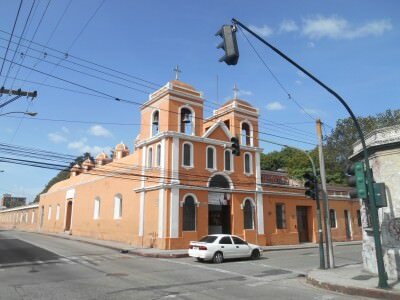 Mucho Iglesias – I’m cheating here by just putting “churches” as a main sight. 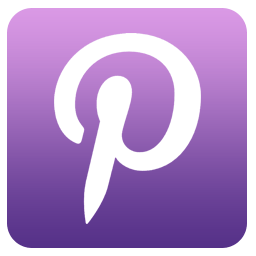 Churches alone could have made their own top 15 churches post. 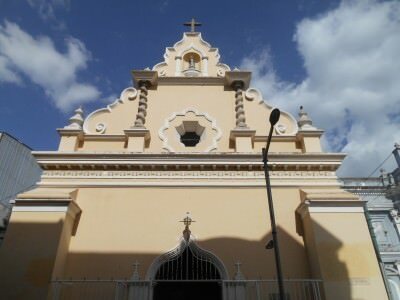 I toured a load of streets near my hostel finding more Churches than I could believe. Yes, Jesus was bigger than John Lennon and Paul McCartney. GC proves it. 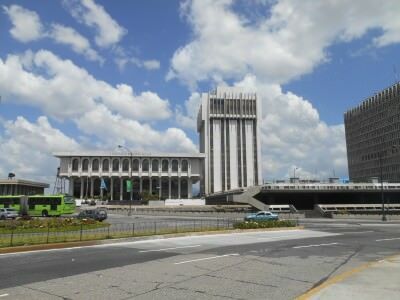 Palacio de Justicia – the Justice Palace is in the Centro Civico zone. Independence Monument – this monument is south of the city centre and we stopped at it on the bicycle tour. 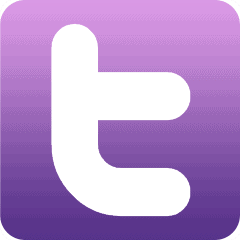 Worth a peek but actually in an odd location, away from the buzz of everything else. 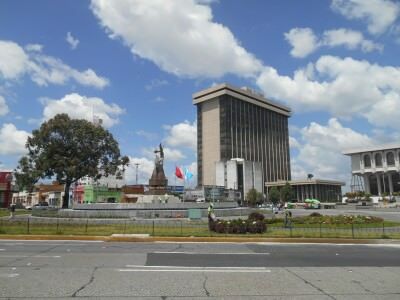 Independence Monument in Guatemala City. 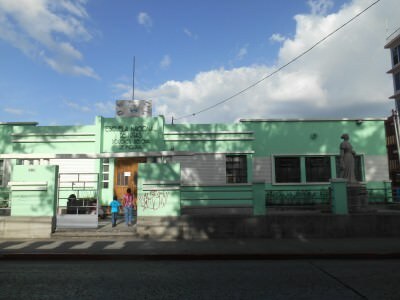 Casa de Aguila – Eagle House is simply one of many many top drawer art galleries that grace Guatemala City. 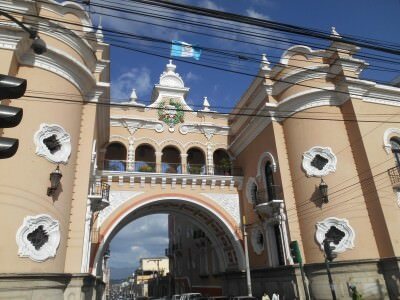 To find out more about Guatemala City, get in touch with local guide Marcos who will be happy to take you around.